Starting Salary: National Chief Inspector Pay scale plus £2000 South East allowance (or other housing rent allowance). 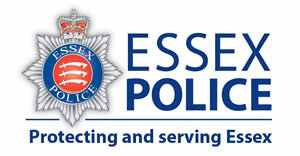 Essex Police are looking for Inspectors/Detective Inspectors who are eligible for promotion and Chief Inspector/Detective Chief Inspector on a level transfer to join it’s leadership team. We are seeking dynamic, innovative and operationally credible leaders who are committed to enhancing service delivery that will support victims, reduce violence, enhance visibility and protect the most vulnerable within our society. The successful candidates will be truly committed and passionate about leading people and developing key partnerships to provide an exceptional policing service to the people of Essex. Be an Accredited Detective and have a proven background of managing complex investigations. If you wish to register your interest in these positions please email our Human Resources department on hr.people.development@kent.pnn.police.uk. The application window closes on midday on the 29th April 2019. Alternatively please contact our HR Department for a discussion on 01622 654450.